ePublishing Knowledge BaseePublishing Knowledge BaseePublishing Knowledge Base Creating and Managing Directories & Buyers GuidesHow do I enable comments on directory listings? 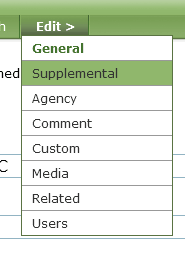 Do you want comments available on your directory listings? 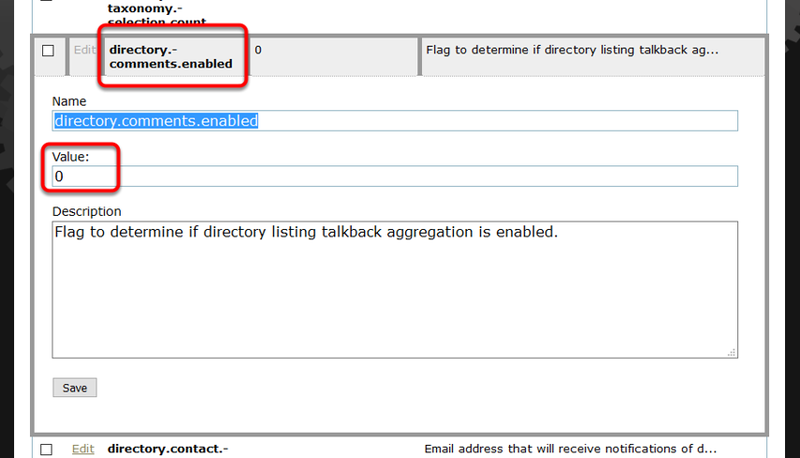 This article outlines how to enable or disable comments on specific listings or on all directory listings. 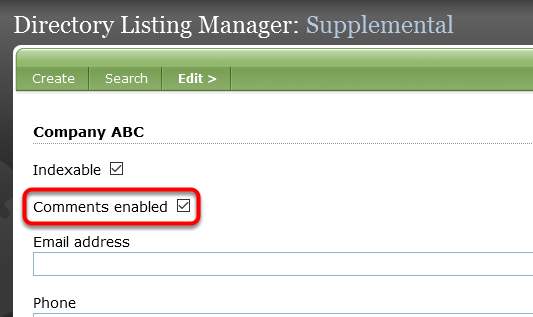 To enable or disable comments on a specific directory listing, open the listing and go to Supplemental. Select Comments enabled. Unclick the checkmark in the box if you want to disable comments. If checked, the commenting functionality will be displayed on the directory listing whether from ePublishing or a third-party commenting integration (like Disqus). If unchecked, the commenting functionality will be suppressed for the directory listing, even if commenting is permitted elsewhere on the site. There is a system setting that will control whether comments appear on any directory listing, regardless of the above selection. 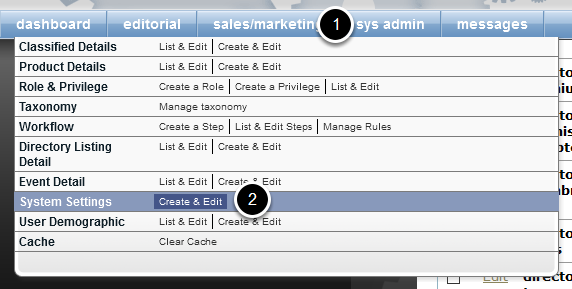 If the setting is set to 0, or FALSE, comments are disabled on all directory listings and you may ignore the checkbox. Zoom: There is a system setting that will control whether comments appear on any directory listing, regardless of the above selection. System settings are found under Sys Admin. Prev: My website emails form data with attachments to me. Is there a recommended file-size limit we should notify readers about? Next: How do I control who receives notifications in my company when new directory listings are purchased?